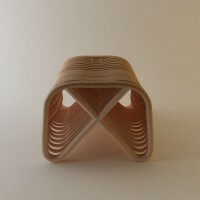 Abie Abdillah, a young Indonesian designer, has sent us images of the Doeloe Lounge Chair and Pretzel Bench. Living in a city that’s already crowded and hectic, makes me often suprised seeing new buildings, apartments, and malls were still built rapidly these days in Jakarta. This condition makes me wonder how it felt to live in Jakarta in the 1970’s, when there are still many green places spread along the city. 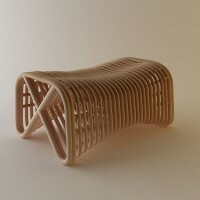 From an eager to live on a time that I never felt, I want to create a furniture that took a piece of shape that could resemble that time. 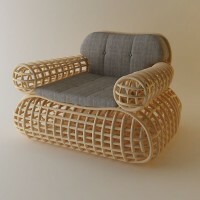 And this is why “doeloe lounge chair” was created. Doeloe (read: dulu) means a time that has passed. 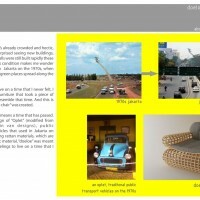 Inspired by a design of “Oplet” (modified from Morris or Austin van designs), public transportation vehicles that used in Jakarta on 1930’s to 1979. 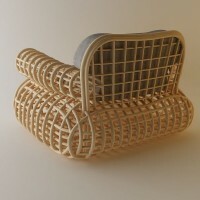 Using rattan materials, which are consider as a classic material, “doeloe” was mean’t to represent my feelings to live on a time that I wish I could had. 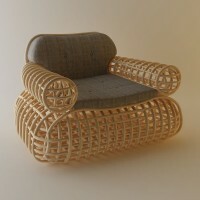 Rattan is a unique material that mainly came from South East Asia, especially from Indonesia which was claimed 70% of worldwide needs for rattan materials are from the country own resources. 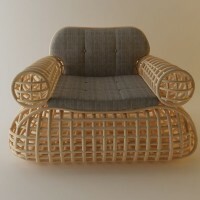 Why does rattan unique? 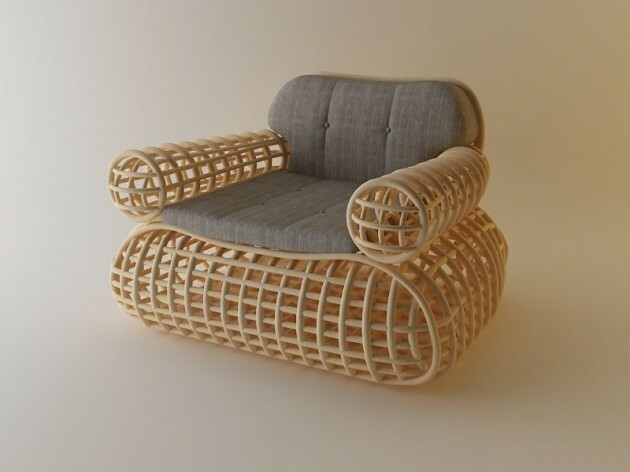 Rattan as a plant could grow more than 100 meters long and have 400 various kind of species which about only 8% of them are already explored and used as raw material for human needs products. 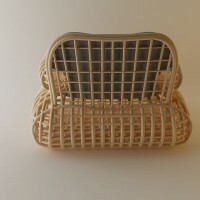 The other uniqueness of Rattan are the characteristics of the material itself, which are strong, and able to be bend. 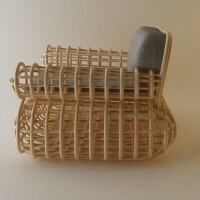 But yet, it was tricky to create a piece of furniture from rattan materials, since the stretchy characters make them need to have various braces support to keep the furniture strong and steady. 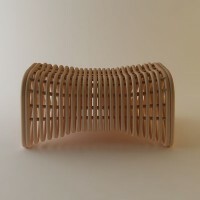 And to create a piece of furniture from modular shapes that came from continuous lines of rattan materials, is my attention when create the “Pretzel Bench”. 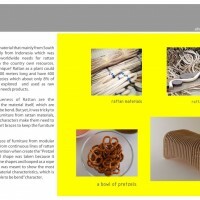 The pretzel shape was taken because it had a continuous line shapes and looped as a rope tie. 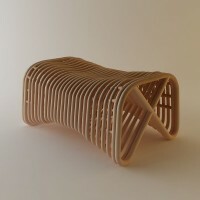 “Pretzel Bench” was meant to show the most unique of rattan material characteristics, which is the “stretchy and able to be bend” character.